Just 15% of the Iberian peninsula is taken up by Portugal, but you'd think it was even less, considering how rarely people who visit Spain consider visiting Portugal too. It's really easy to add Portugal to your itinerary, and you should at the very least consider Lisbon and Porto. Here are basic facts on how to have the complete Iberian adventure. There are some excellent guided tours of Portugal that begin in Madrid. Alternatively, first get to Lisbon and then take a Portugal tour from Lisbon. There are trains from Madrid to Lisbon. By why not stop earlier and go from Madrid to Coimbra and start your Portugal trip there? There are good bus connections from Seville to Faro in the Algarve, as well as from Seville to Lisbon. Extend your trip to Galicia in northwest Spain by coming south and visiting Porto. 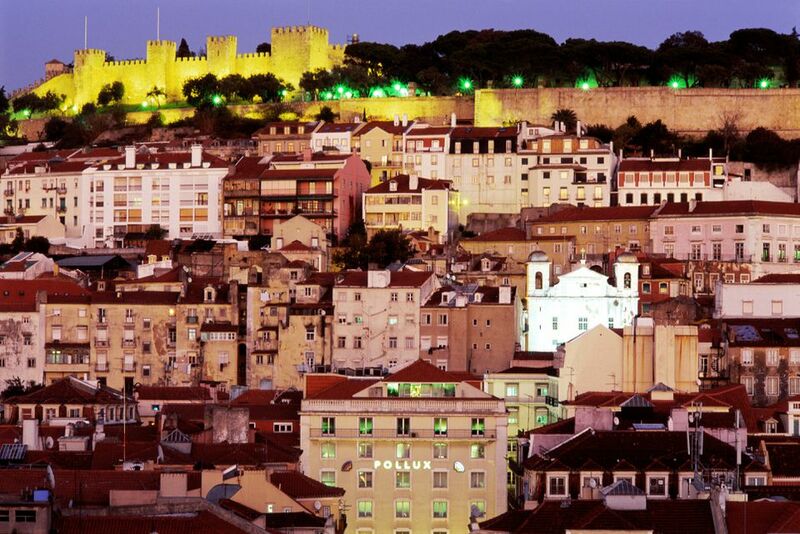 Madrid to Lisbon via Avila, Salamanca, and/or Coimbra (in Portugal) by train or guided tour. Madrid to Lisbon via Merida and/or Caceres by bus. Seville to Lisbon via Merida by bus. The most popular route from Spain to Portugal is from Madrid to Lisbon. It is possible to take a direct train from Madrid to Lisbon, but with the train stopping at such interesting destinations as Avila, with its amazingly well-preserved city walls, Salamanca with its famous Plaza Mayor, and the fascinating university city of Coimbra in Portugal, why not make a couple of stops? The train journey is actually not quite the quickest route to Lisbon from Madrid as it takes a long way round to get to Lisbon, though it is the more comfortable way. Read on below for the slightly quicker way. Caceres used to be connected to Portugal by train too, but the track is no longer in use. However, there are now daily buses from Caceres to Lisbon and Merida to Lisbon. Which of these is better? We would go to Merida every time. Merida's Roman ruins are the best in Spain. If you'll be in Andalusia and then want to head west into Portugal, Seville to Lisbon is a good option. The direct bus takes seven-and-a-half hours, but you can go via Merida; Seville to Merida takes three hours and Merida to Lisbon also takes around three hours. Waiting for your connection will still make it quicker to go direct, but Merida is an excellent place to visit so why not break up your journey with a stopover? From Galicia in the north. The best connection if coming from Galicia is between Vigo and Porto. From Salamanca in the east. If you want to visit the Algarve on the south coast, your obvious connection is via Seville. Go from Faro to Seville.